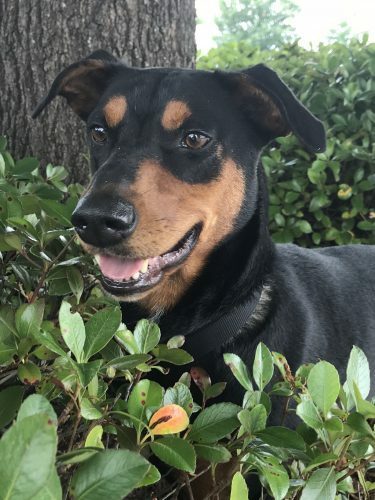 Kandy is an approximately 6-year-old female Doberman. She is spayed, micro chipped, heart worm negative, appropriately vaccinated, treated for parasites and on preventative. Kandy is house trained, she lived with other dogs and had a family who loved her. When her owner became ill they couldn’t keep her anymore and Kandy needs a new home. Though Kandy has volunteers who care about her, she is depressed without a family of her own. Please consider opening your heart and home for Kandy. For more information please call 706-436-0965 or email [email protected].